Goshen and Monroe drivers should be thrilled about the Happy Honda Days Sales Event at Middletown Honda. 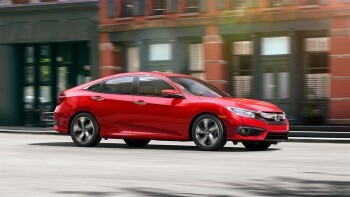 Redesigned vehicles like the 2016 Pilot and the 2016 Civic, as well as all-new models like the 2016 HR-V, have made this is an exciting year for the automaker, so Honda is celebrating with exceptional offers on new models between November 16, 2015 and January 4, 2016. 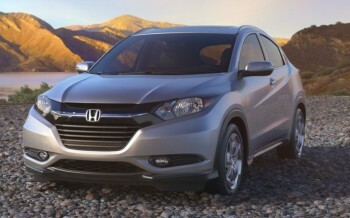 The 2016 Honda HR-V is a new crossover for this year, and it allows drivers to make up to 28 mpg in the city and 35 mpg on the highway* when equipped with 2WD and a CVT. Its sleek interior can be changed into three modes to fit your needs. Utility Mode is ideal for accessing every inch of the 58.8 cubic feet of cargo space by folding the rear Magic Seat. If you need to slide in something longer, Long Mode lets the front passenger seat to be folded to accommodate items up to 8 feet in length. You can even switch to Tall Mode for nearly 4 feet of vertical space. 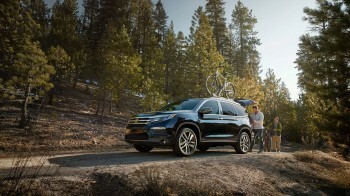 The 2016 Honda Pilot has benefitted from an exhaustive redesign, so this model line now offers Goshen and Monroe drivers more power, space, and features. Power comes from a V6 engine that delivers 280 hp and 262 lb-ft of torque. There’s even enough space for up to 8 passengers, plus room for a whole 82-quart cooler behind the third-row seat. Optional equipment includes a power tailgate, a rear entertainment system, and a multi-angle rearview camera. Honda Sensing Package: Offers systems such as adaptive cruise control, forward collision alert, and lane departure warning. The Happy Honda Days Sales Event will only last until January 4, 2016, so head down to Middletown Honda today. ** Apple CarPlay is a trademark of Apple Inc.
*** Android and Android Auto are trademarks of Google Inc.